RONALD GREEN CELEBRATES WITH FAMILY AND FRIENDS! Posted in Uncategorized | Comments Off on RONALD GREEN CELEBRATES WITH FAMILY AND FRIENDS! By 11pm Wednesday night a southwest Houston lounge was standing room only. That place is Mercer Lounge and the occasion was City Controller Elect Ronald Green celebrating his victory and 40th birthday. The public official warned his guest it would not be your standard stiff shirt affair. And Green delivered. Not only did he have local radio personality Rob G on the wheels of steel but he had a live drummer to accompany each song in rotation. That energized the crowd of at least 200 people to hit the dance floor. Green was accompanied by his wife Judge Hilary Green who planned the party with Insite favorite LaChanda Jenkins. There were several private areas set aside for special guests like Duarte Geraldino who was also celebrating. He’s returning home to New York after two years in H-Town. Dozens of people attended the event including Gail Brown, Kathryn Griffin, Millette Scott, Council Members James Rodriguez, Jolanda Jones and Wanda Adams. Also in the venue: Borris Miles, Carl Davis, Je’Caryous Johnson, Felix Chevalier, Melinda Spaulding, Adrian Collins, Sam Turner, Von McDaniel, Michael Lactson, Mary Benton, Rob Wright, and many more! THE JUDGE SUFFERS A HEART ATTACK! Posted in Uncategorized | Comments Off on THE JUDGE SUFFERS A HEART ATTACK! THE LATEST ON JUDGE DONALD JACKSON! Judge Donald Jackson, who was scheduled to resign from Harris County Criminal Court on Thursday, has suffered a heart attack, FOX 26 News has learned. Court coordinator Carol Cummins told FOX 26 on Wednesday that Jackson suffered the heart attack on Tuesday and has been hospitalized. Jackson was convicted of oppression against Arianna Venegas and refused to issue an apology to her. Venegas claimed that Jackson made unwanted sexual advances toward her. After he was found guilty of oppression on Dec. 21, Jackson was sentenced to two years probation, 30 days in Harris County jail, a $4,000 fine and community service. HAROLD HURTT HAS LEFT THE BUILDING! Posted in Uncategorized | Comments Off on HAROLD HURTT HAS LEFT THE BUILDING! BUT HE’S STILL OFFICIALLY CHIEF UNTIL 5PM WHEN HE ANNOUNCES HIS INTERIM! It’s official. Chief Harold Hurtt walked out of the Houston Police department for the last time today at 11:45 am this morning. He was surrounded by more than 100 officers. Hurtt is expected to announce an interim chief of the Houston police department at 5pm today. Until that time he remains chief even though he has left the building. 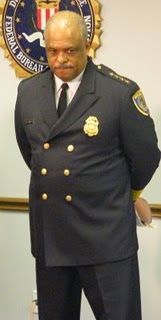 Hurtt was appointed Chief by outgoing Mayor Bill White. Mayor Elect Annise Parker made it very public and very clear Hurtt had no place in her administration. Hurtt says he will consider work in the private and public sector. He consider body armor for cops and the reduction in Houston crime rates as some of his biggest accomplishments! JARVIS JOHNSON SAYS HE WANTS TO PROTECT RENTERS! Posted in Uncategorized | Comments Off on JARVIS JOHNSON SAYS HE WANTS TO PROTECT RENTERS! PRESS CONFERENCE WEDNESDAY ON THE MATTER! Council Member Jarvis Johnson will join community members in demanding safer housing for area renters. A press conference will be held on Wednesday, December 30, 2009 at 11:00am with Sharon Kendrick – the latest victim of a negligent property owner. Two days after Christmas, Sharon Kendrick rushed from her home to escape flames seeping through her walls. Though the home she has rented for years didn’t completely burn, she is now without permanent shelter and some belongings. Her despair is the result of a negligent property owner. Council Member Johnson will speak on his proposed regulations to hold property owners more accountable at the press conference in front of Ms. Kendrick’s home located at 2321 Kirk Street, Houston, Texas 77020. All media is invited. “This ordinance is a practical and common sense way to hold property owners accountable, and to prevent low-income people from becoming homeless,” says Council Member Johnson. Council Member Johnson has spent his tenure on Houston City Council advocating for stronger ordinances to hold landlords and property owners accountable for ensuring their properties pose no threat to its residents. Part of the proposed Single Family Properties, Restricted Covenants, & Habitual Ordinances demands that landlords will have 48 hours to fix problems that Building and Safety Department inspectors believe are serious enough to threaten public safety. “It is shameful that a property owner would willingly take the hard-earned money of its residents with no regard to the individual or family’s safety,” says Council Member Johnson. FREE NEW YEAR’S EVE PARTY CENTRALLY LOCATED IN THE HEART OF HOUSTON! 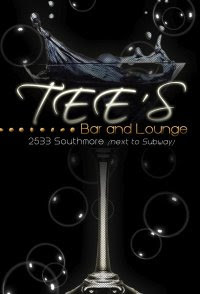 Posted in Uncategorized | Comments Off on FREE NEW YEAR’S EVE PARTY CENTRALLY LOCATED IN THE HEART OF HOUSTON! INSITE RECOMMENDATION: YOU CAN BOTTLE POP ON A BUDGET! ABSOLUTELY, NO COVER, NO COVER, NO COVER ! ! MAYOR ELECT ANNISE PARKER PREPARES FOR THE BIG DAY! Posted in Uncategorized | Comments Off on MAYOR ELECT ANNISE PARKER PREPARES FOR THE BIG DAY! The incoming elected officials will take the oath of office in ceremonies to be held at the Wortham Theater Center in downtown Houston beginning at 9:30 a.m. Monday, January 4, 2010. The inauguration is open to the public. The doors at the Wortham will open at 8 a.m. Seating in the main theater will be available on a first come first served basis. Additional seating is being provided in the smaller Cullen Theater, which will be equipped with a video feed of the ceremonies. The inaugural program will feature former Channel 11 News Anchor Lisa Foronda as mistress of ceremonies, 2009 America’s Got Talent first runner up Barbara Padilla, Lakewood Church Pastor Joel Osteen, St. John’s United Methodist Church Pastor Rudy Rasmus, poet Chitra Banerjee Divakaruni and children from the Chinese Community Center. Music will be provided by the 200-member Inauguration Orchestra and Choir, comprised of many of Houston’s top musicians. U.S. District Judge Vanessa Gilmore will administer the oath of office to Mayor-elect Parker and City Controller-elect Ronald Green. As her first official act as Mayor, Parker will swear in the 14 members of Houston City Council. Archie Bell, whose #1 hit Tighten Up got the whole country “dancing just as good as they could walk” back in 1968. Roy Head, Texas legend of blue-eyed soul, who took Treat Her Right, recorded in the shadow of downtown, to #2 on the pop charts. Yvonne Washington, a soulful songstress who has been a part of generations of celebrations across the city. The concert is being funded privately through donations raised by the 2010 Inaugural Committee. Food and beverage is available for purchase at Discovery Green. In the event of severe weather, the concert will take place in the George R. Brown Convention Center. WILL SMITH’S SON IS THE NEW KARATE KID! Posted in Uncategorized | Comments Off on WILL SMITH’S SON IS THE NEW KARATE KID! RARE VIDEO OF MICHAEL JACKSON ADDRESSING ALL THE RUMORS YOU’VE HEARD! Posted in Uncategorized | Comments Off on RARE VIDEO OF MICHAEL JACKSON ADDRESSING ALL THE RUMORS YOU’VE HEARD! MERRY CHRISTMAS FROM THE INSITE! 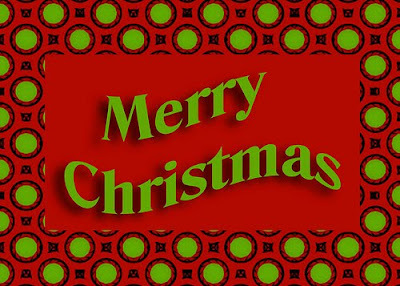 Posted in Uncategorized | Comments Off on MERRY CHRISTMAS FROM THE INSITE! TRAVEL NIGHTMARES AT HOBBY AIRPORT IN HOUSTON! Posted in Uncategorized | Comments Off on TRAVEL NIGHTMARES AT HOBBY AIRPORT IN HOUSTON! RAPPER TI IS BACK IN GEORGIA AFTER BEING RELEASED FROM PRISON! 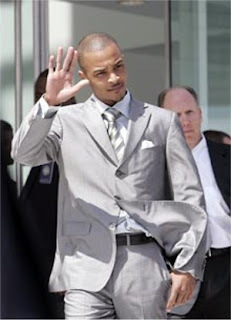 Posted in Uncategorized | Comments Off on RAPPER TI IS BACK IN GEORGIA AFTER BEING RELEASED FROM PRISON! HE’S OUT A BIT EARLIER THAN EXPECTED! Atlanta rapper Clifford “T.I.” Harris Jr., was released from prison Tuesday morning after serving about 7 months at a low-security penitentiary in Forrest City, Ark. He is expected to serve the remainder of a reduced sentence in a correctional center near Fulton County Airport. GALLERIA STORE ACCUSED OF RACISM AND THE MARY J. BLIGE CONNECTION! Posted in Uncategorized | Comments Off on GALLERIA STORE ACCUSED OF RACISM AND THE MARY J. BLIGE CONNECTION!